I can be very picky about what albums I review. Some music I simply don’t enjoy, that does not mean it is bad music, it is a matter of perception and taste. 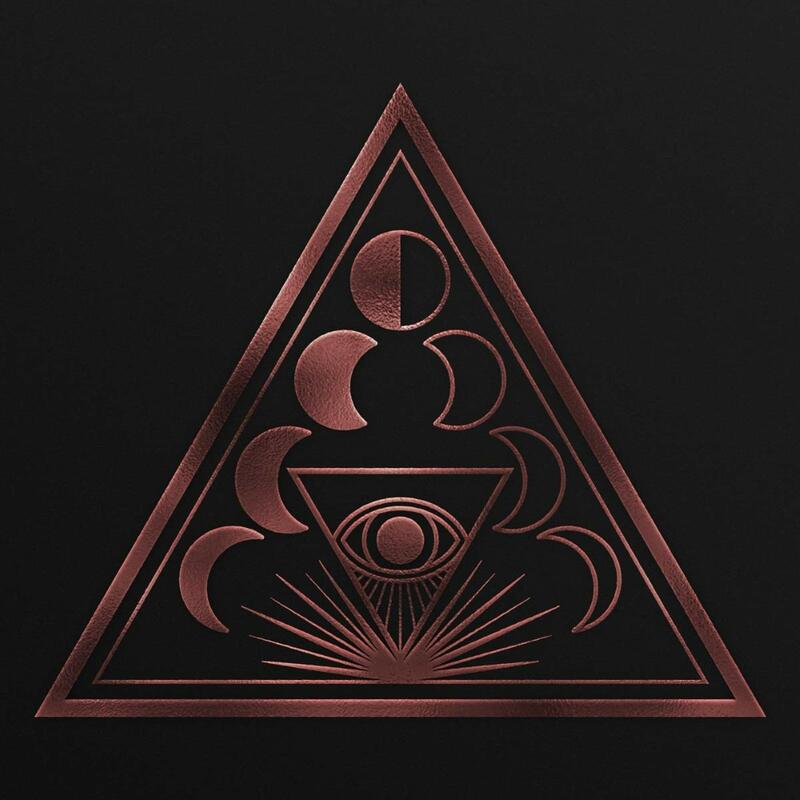 That being said, I am extremely surprised at my love for Soen‘s latest album. It is very different from what I normally listen to, but there is just something about it. The progressive metal sound from the beginning, really opened my mind to the idea. I also hear a Katatonia vibe, which is one of my favorite bands. The closest review I can even relate it to, is my review of A Perfect Circle’s Eat the Elephant. That is a big statement, for obvious reasons, but also due to my intense love for that album. To even put it close to the same caliber, I realize is a bold statement, but that is where my mind continues to wander. Lotus has many sounds throughout the album, some I like, some I love, but all around I find myself wanting to continue to listen to it. I would not call this metal, but it has some metal-type components. It is worth a listen, and if you are a metal head, listen to it with an open mind. Soen is based out of Stockholm, Sweden. They formed in 2004, and after a few bandmate changes, have settled into a solid quartet. Stefan Stenberg (bass), Cody Ford (guitar), Lars Åhlund (keyboards, guitar), Joel Ekelöf (vocals), and former Opeth drummer Martin Lopez are a dynamic bunch of insanely talented musicians. They will be starting their Europe tour March of this year, so be on the look out to catch them in concert! 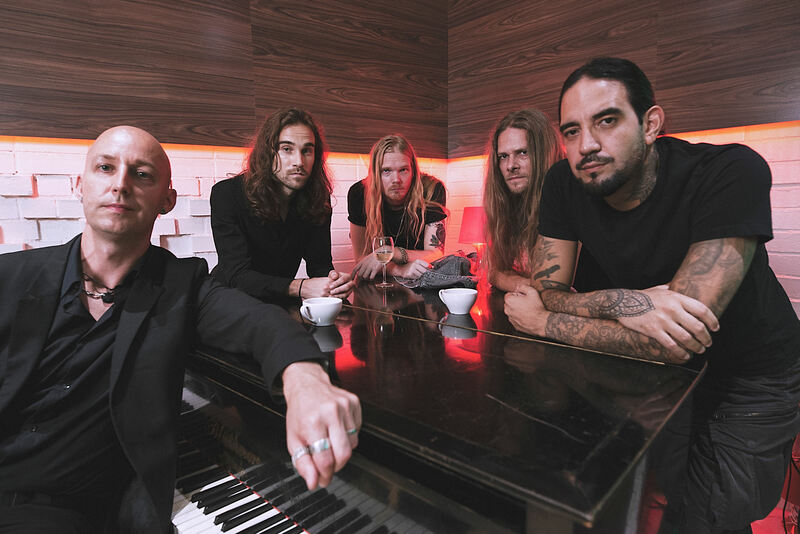 Soen’s first album, Cognitive, was released in 2012 followed by Tellurian (2014), and the highly-acclaimed Lykaia (2017). Lotus represents their fourth full-length effort. Let’s start. Song number one, and by far my favorite on this album. This song alone made me realize how much I wanted to write this review. “Opponent”, starts with a forceful progressive metal sound. The guitar riff is flawless and the bass perfectly intertwines into the percussion’s tempo. Ekelöf’s vocals bring it home to impressive precision. The bass is prominent throughout, which I always enjoy in music since this instrument tends to take a quieter back seat and only seems to compliment other instruments instead of being its own. The whole song flows effortlessly, but beautifully and aggressively. The keys enters elegantly after about three-and-half minutes in and a haunting guitar solo intensifies the song. It is a bewitching track, full of life and brilliance. Track two, “Lascivious”, took me a time or two to really get into, but when I was at work and found myself singing in my head, “as we reach for the sun,” I realized it was much more special than I originally gave it credit for. The bluesy guitar throughout gave me chills and the keys sing out soulfully. Four minutes in, you get another tasty progressive metal breakdown that drives into my internal being. This song would fit perfectly in a Neverending Story movie. There is a dark and mysterious, yet alluring quality to the lyrics. I thought he was talking about a woman at first, but at second listen, I no longer feel that is accurate. I feel he is talking about life in general. It is a magnificent lyrically written song. “Martyrs” begins with a heavy riff and engaging drum beat. Once again, the bass has a prominent role and the keys take a solo light toward the middle of the song. “We are made for dreaming, for wandering the earth. For what we have is all we need.” These lyrics really hit me. The title track, “Lotus”, slows way down, but continues to lyrically impress. The guitars mingle so exquisitely, I was able to get lost in this instrument alone. Soak up this song. Every lyric, every melody, every instrument. “Talk to yourself, let your essence be the answer. While we chase the meaning of who we are. Navigating through a storm.” Whoa, right. Wisdom through music, doesn’t get much better, at least for me. “River”, track seven, is another calming yet heart-wrenching track. It feels like it is a song about loss, and after losing a terribly close friend recently, it was really difficult to listen to, but I resonated with it so much. The vocals and guitars mourn along with the message. I will be honest, tears were shed while listening to it. This is the third time, mind you, before I completely “got it.” I tend to listen to instruments first, then lyrics. I felt it initially, but did not understand why until I dug into the lyrics. Beautifully tragic song. This is my first interaction with Soen. As I mentioned, it is not music I normally gravitate to, but this album is admirable and ethereal. I felt transported to a higher dimension of understanding and enlightenment, almost like the insight of a Tool or A Perfect Circle album. I was impressed by the intermittent progressive instrumental sounds, but the lyrical content is what completely sold me. It will be one I will continually turn to, when I feel like I want to walk the path of open-mindedness and awareness. Lotus is nine tracks of beautifully heavy yet emotive music. A sonic masterpiece awash in contrasts and diversity, and a stunning all around effort. I am a small town girl from Idaho with a big time obsession with music. I was the awkward, strange teenager who listened to metal while everyone else was hopping on the pop train. Nothing has changed. I am a counselor by day, a metal writer by night. Life is good.